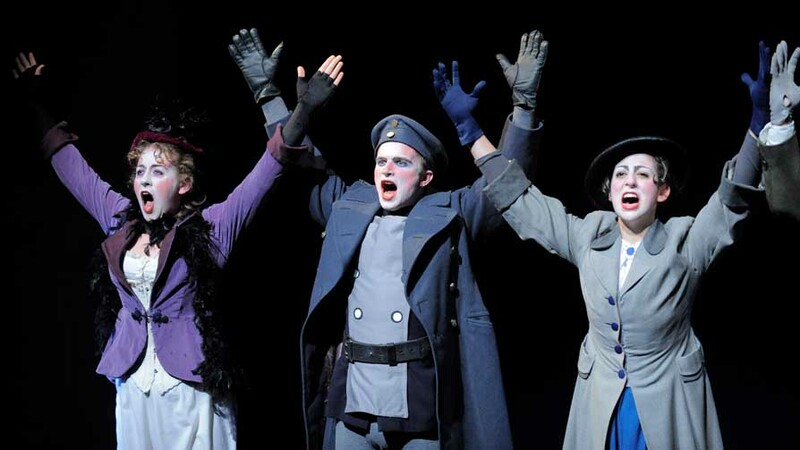 Continue developing your love of theatre by adding a Minor in Theatre to your degree. A minor in Theatre can help students improve their confidence in public speaking, develop many practical transferable skills, gain organizational and project management experience, compliment their other design or art programs, prepare for teaching careers and much more. The minor in Theatre combines traditional academic courses with studio-based courses. Students will be able to select courses from a wide range of choices from most sub-disciplines in theatre including Applied Theatre, Design, Performance, and Theatre History. The Theatre minor is comprised of 15 units of courses. To qualify, a student must achieve a minimum of 6 lower-level units of Theatre and 9 upper-level units. The widest array of courses is available by virtue of the fact there are no required courses within the Minor. In addition, many courses offered require no prerequisites. Students not majoring in Theatre may request to declare a Theatre minor with their faculty advising centre. For program questions, consult the Fine Arts Undergraduate Advisor. These Theatre course options are for students enrolled in the minor program. Please note that some courses are not all offered each year and others have prerequisites and/or departmental permission is required. Check course descriptions and the class schedule for any restrictions before registering. To request departmental permission, contact the instructor by email first using the UVic Directory. If the instructor’s name is not listed on the schedule, or you need any additional registration assistance, email the Departmental Secretary, Connie te Kampe: theatre@uvic.ca. Be sure to include your full name and student number. In general departmental permission is readily available for Theatre history topics and commonly granted for applied theatre and directing topics when space allows. Permission to register in production and design topics is on a case-by-case basis and must be negotiated with the instructor directly. 200-level and higher “performance focus area” courses are not open to non-Majors. Interested in making Theatre one of your teachable subjects for your application to the UVic Education Faculty's Post-Degree Professional Program? Courses needed for the PDPP program can be used towards a minor in Theatre.